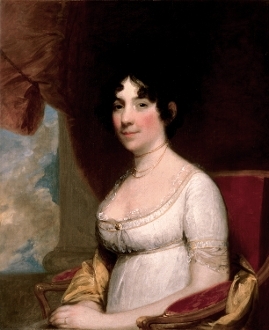 Dolley Madison helped define many of the traditions of the First Lady in America. She was the consummate hostess, project organizer, and the first presidential spouse who was a genuine American celebrity. The legend of Dolley Madison includes starting the White House Easter Egg roll, saving the most famous George Washington painting during the War of 1812, keeping the Capitol in D.C. and even popularizing ice cream in America. In honor of Dolley and James’ love of French cuisine, the Dolley Madison is a French Roasted blend of South American beans, with raspberry flavoring mixed in to add a dash of dessert flavor. day tale of triumph over tragedy - Andra Good has turned the tragic death of her friend into an incredible organization that is changing lives all over the world. In honor of the legacy Leigh Ann Tonkinson has left behind, this exclusive APR offering is a powerful blend of Kenyan beans— full bodied with a complex molasses tone and roasted just dark enough to draw out their finest flavor.